SIDS Youth AIMS Hub- SEYCHELLES is the Seychelles Chapter of a regional network of young people on Small Island Development States (SIDS) in the Atlantic, Indian Ocean, Mediterranean, and South China Sea (AIMS) is a youth led NGO promoting and advancing youth-led sustainable development projects. 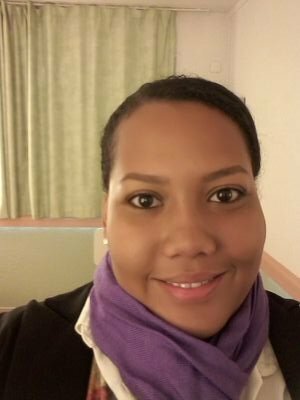 Angelique Pouponneau, a 26 years old lawyer, at the time serving as the Speaker of the Seychelles National Youth Assembly was keen to advocate for sustainable development. She connected with the regional co-founders of the SIDS Youth AIMS Hub where she joined the team to put the regional hub in place and returned to the Seychelles to start the regional chapter. Angelique is keen to get young people to appreciate that their individual actions contribute to a collective difference and believe that it is important to create more leaders and as such she believes that SYAH remains a platform for young people to be empowered, to engage and to have their voices heard on the issue of sustainable development. Angelique is currently specialising in Environmental law so that she can marry her passion and profession and be better equip to engage with the issues so close to her heart. She also aspires to use the knowledge that she has to teach her fellow peers. Anael Bodwell, a 24 year old and working in the Performance Audit Department at the Office of the Auditor General. She is currently studying towards her professional qualification as a Chartered Accountant. ​nd health, namely the SIDS Youth AIMS Hub (SYAH) Seychelles and the Youth Action Movement (YAM) Seychelles. Shantana Barbe, studying for her Bachelors of Laws at the University of Seychelles. She participated in several environment activities such as Clean Up the world, restoration program on La Digue - Veuve Reserve, Tree planting campaign and so much more. ​She has also participated in international / regional conference, representing SYAH Seychelles. ​​Shafira Charlette, aged 21, is an environment activist. She has big passion for the environment and animal welfare. Shafira enjoys volunteerism; member of Eko Youth Wildlife Club, Island School Seychelles, SYAH Seychelles, Ambassador - Tunza Eco-Generation and Seychelles Pet Haven Society. She tries her best to encourage young people to engage in environmental activities and learn to appreciate it. ​She is working as an Accounts Supervisor at H Savy Insurance and currently studying for her accounting degree on a part-time basis. ​Shafira is also an entrepreneur; she owns her own Graphics Design and Photography start-up business, Simple Creativity. And she does most of our brochure, poster, flyer and etc.